Take the plastic case your box mod came in, lift up the black Styrofoam protection piece and grab your free stickers from Innokin! Dazzle your friends and fellow vapors with the Coolfire IV's eye catching elegant appearance and its charmingly convenient design. 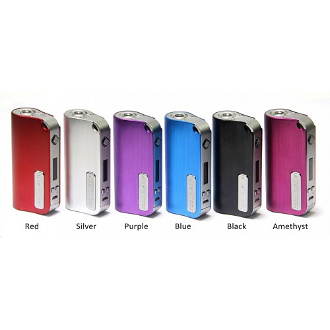 Feel the vaping power of high end technology, with just three little buttons at your fingertips. Note: Stainless Steel, Titanium or Nickel coils are required when using this temperature controlled device.